Inderneel Singh is Managing Director of the May Fair Hotel. He is responsible for continuing the high standards of luxury experience at the five star hotel and emphasising its position at the heart of London’s most stylish district, as well as maintaining its crucial position within Edwardian Hotels London hospitality group. 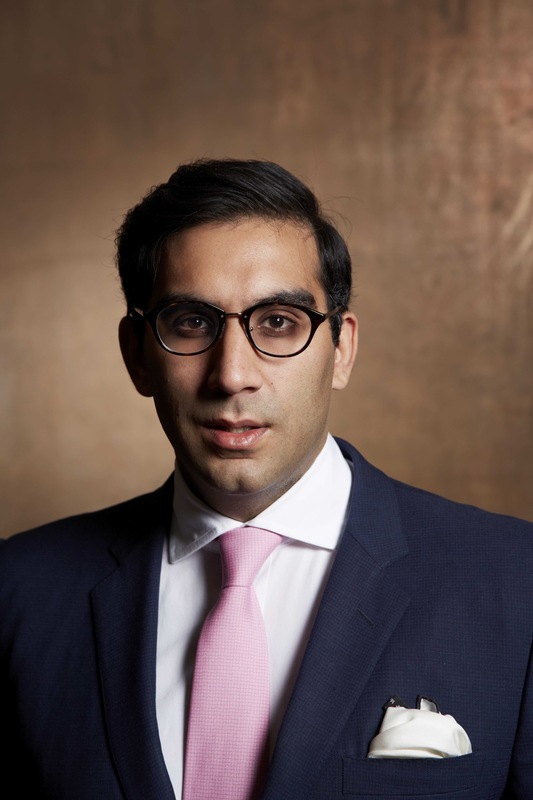 Inderneel Singh graduated from Warwick University in Management Science and qualified as a Chartered Accountant from KPMG where he worked for five years in both Audit and Advisory before joining Edwardian Hotels London. Managing Director of the May Fair Hotel, part of Edwardian Hotels London hospitality group. 2. What are your proudest achievements? When it comes to my career, I would say I’m proud of having worked at KPMG for over 5 years and qualified as a chartered accountant. I’m also very proud of the role I have today. We have a great team and have had great success with the recent refurbishments of May Fair Bar and May Fair Kitchen and overall growth of The May Fair hotel team. The design and menus in both have changed to excellent reviews. In my personal life, nothing makes me more proud than my two children. I’m inspired by my father’s vision for the hospitality group – he’s very forward thinking. My sisters and I are collectively building on the foundations he’s laid for the business and our ambition is to ensure that Edwardian Hotels London continues to grow. 4. What has been the biggest obstacle in your career? There are of course challenges every day – much like any other workplace. I do think that as I have taken on different roles within Edwardian Hotels London, I have brought with me knowledge and experience from previous positions. I do think that helps with problem solving and seeking other solutions to support the business. 5. Who has been the biggest influence on your career to date? My father Jasminder Singh. He continues to set the direction, strategy, vision and culture for all of the team at Edwardian Hotels London. We talk every day and we regularly discuss how best to approach issues within the business. He’s a fantastic mentor and boss, as well as being an amazing father and friend to me. He helps to guide me through the work I do at Edwardian Hotels London and pushes me to grow as an individual. I think our combined thinking is incredibly beneficial for the group as a whole. 6. What is the best aspect about your current role? I would say that hands down it is meeting people from all over the world and enabling our clients to take advantage of all London has to offer, right on their doorsteps. I also thoroughly enjoy the collaborative approach we take to day-to-day life at the May Fair. As a team we work hard to ensure that we deal with any issues together – taking advantage of the wide-range of skills and abilities we have here. I can’t think of anything that I would say is the worst – perhaps trying to get round London in the pouring rain! 8. What are your long term goals? For me personally, it’s about focusing on ensuring that The May Fair Hotel remains a destination within one of the most luxurious districts in London. We are also growing as a business and believe our new development in Leicester Square will be the most exciting product we’ve launched yet! 9. If you were Prime Minister, what one aspect would you change? This is a hugely topical question following the recent turn of events linked to the referendum. My focus would be to ensure unity going forward. There are a number of unknowns, but as Prime Minister that would be my desire – to create cohesion within the country, but also on a global scale. 10. If you were marooned on a desert island, which historical figure would you like to spend your time with and why? His recent death emphasised just how iconic and well-respected he was – with that in mind, I’d say Mohammed Ali. Through his passion and commitment to sport, he was able to position himself as a political activist. I would like to spend some time with him to understand his conviction and purpose.